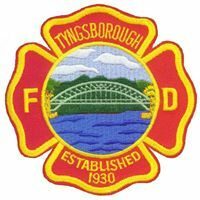 Tyngsborough firefighters need your help to potentially save lives and property. The Tyngsborough Fire Department is introducing its Adopt-a-Hydrant program to combat hazardous conditions created by snow, ice, and winter weather that could impact access to a fire hydrant in an emergency. This program allows residents and business owners to adopt a fire hydrant close to their home or business. Participants are asked to maintain the area around the fire hydrant keeping it accessible and free of snow and ice in the winter and weeds, leaves, and shrubbery in warmer weather. It is vital that firefighters be able to quickly access a hydrant in the event of a fire. Immediate access to a water supply helps to swiftly extinguish the fire and prevent loss of life and property. In the event of winter weather, participants are asked to clear a three-foot area around the hydrant and ensure there is a path to the roadway so the hydrant is visible and easily accessible. To participate in the Adopt-a-Hydrant program, simply send an email to Fire@tyngsboroughma.gov: Include your Name, Address, Phone Number, and the Address location of the Hydrant you would like to adopt. After registering, a crew from the participant’s closest fire station will deliver an “Adoption Certificate” identifying their hydrant. Participants are encouraged to take pictures with their hydrants and share them to the Tyngsborough Fire Department Facebook Page. The goal of the Adopt-a-Hydrant program is to ensure that a fire hydrant is accessible in case of an emergency. Fire hydrants are the property of the Tyngsborough and Dracut Water District,they ask that participants refrain from painting, personalizing or changing the appearance of the fire hydrant. Copyright © 2019 Tyngsborough Fire Department. All rights reserved.